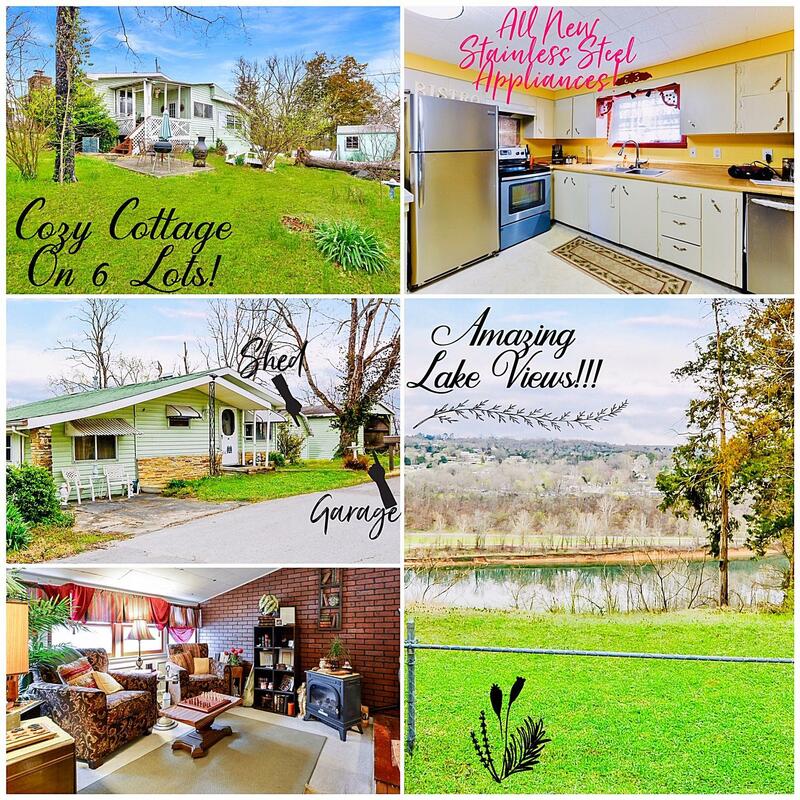 HOME ON 6 LOTS WITH BEAUTIFUL VIEW OF BULL SHOALS LAKE FROM THE BACK YARD! Cozy & comfortable, this pretty cottage has a big wood burning fireplace in a stone surround, 2 living areas & an office. Old fashioned but cute, the kitchen &dining area has stainless steel appliances with plenty of room to work.Brand new Furnace, extra Insulation.The second bedroom has it's own sitting area for TV, &it's own bath, like a Mother-in-law suite. Laundry room has a half bath.Out the back door, is a sweet little covered porch, a huge back yard, &2 patios to watch the sunsets over Bull Shoals Lake. A 3-sided carport in front is tall enough to cover a boat or small RV. This would make a great full time home, or vacation home. Close to downtown Forsyth, with easy shopping and medical. 30 minutes to Branson.